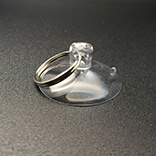 Small suction cups with loop. 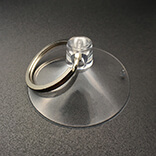 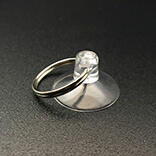 Small suction cup with ring. 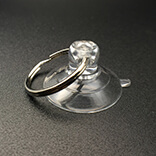 Medium suction cup with ring. 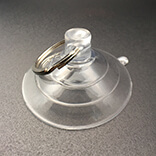 Large Suction cup with loop. 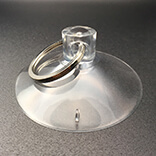 Big succion cups with ring. 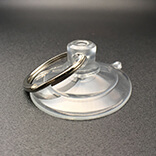 Big suction cup with keyring.